Weight loss medications may double or triple the weight-loss you get from diet and exercise. Most other medical weight-loss programs give you only one option for a weight-loss medicine. If you are not a candidate to receive that weight-loss medicine, or if it stops working, you are out of luck. However, our clinicians consider multiple options when helping you choose the best weight-loss medication for you. If one medication is not an option, you will be presented other possible weight loss medications, each of which works in a completely different way. 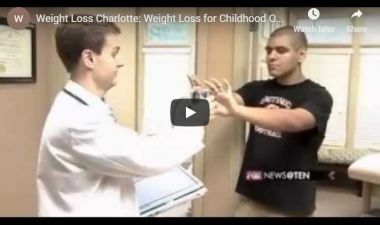 When you see Dr. Marlowe or Natasha, a weight-loss medication will be recommended which works well for you, and it will be changed if necessary. We currently prescribe more than 30 different medications for weight loss, which provides the most of any medical weight loss center in the United States! Many different obstacles can prevent successful weight loss: stress, lack of sleep, long work hours, will power, prescription medicines, and many more. The best weight loss programs help you address these obstacles to weight loss. One example: very few physicians know which medicines cause weight-gain as a side-effect. Dr. Marlowe lectures nationally to other physicians to teach them what medications cause weight gain. Many primary care physicians are surprised by the list of medications which cause weight gain, because this isn’t taught in medical school. During patient appointments, Dr. Marlowe or Natasha will review your list of medications and discuss (and prescribe) options which do not cause weight gain. If you want lifelong weight-loss success, you need an exercise plan that is simple and fun — something you enjoy. Any weight-loss program which demands you use complicated exercise regimens or routines that are no fun … is doomed for failure, because you’ll quit in a few months. We will help you choose simple exercises which you truly enjoy, so you can do them for a lifetime! Sometimes, there are physical obstacles to exercise: a strained back, painful knees, foot pain, or weak ankles. Dr. Marlowe is proud to have sought additional training in Sports Medicine at the National Institute of Fitness and Sport in Indianapolis. He will apply the same techniques for you which he learned while providing medical care for world-class athletes. Everyone agrees: “a pill which is good for one person might be bad for another person.” No one thinks there is a pill which is perfect for everyone. Yet some people still cling to the outdated belief that there is one diet plan which is perfect for everyone. Scientifically minded physicians and other weight loss experts have recommended individualized diet plans for years. Don’t go to a medical weight loss center where everyone is given the exact same pill + diet + shots. We’re proud to announce that one of the tailored diets which we have recommended to our patients with diabetes has received write-up in an issue of Journal of the American Medical Association (JAMA), which is one of the journals most respected by physicians worldwide. The diet alone significantly improved the good cholesterol and the HgbA1c (diabetes number) far better than the outdated American Diabetes Association diet! Our patients have seen these results for years. And, of course, our patients have done even better than the patients in the study, because our patients get all four components of weight loss (not just diet alone). We continue to provide cutting-edge medical nutritional care and weight loss methods. Don’t be caught following outdated medical advice or nutritional recommendations for weight loss. Now it’s old news that the BEST diet for you is as simple as a single blood draw. But some patients and some physicians still don’t know it. FAQ: What Happens at the First Visit? 1 based upon statistics of Medline of published studies of weight loss programs as well as statistics provided by members of Obesity Medicine Association who have published data of their success rate. Results may vary, with the most important factor to success being accountability (not missing appointments).